It’s no secret that I’m a fan of documentaries about the treatment of women in comics. 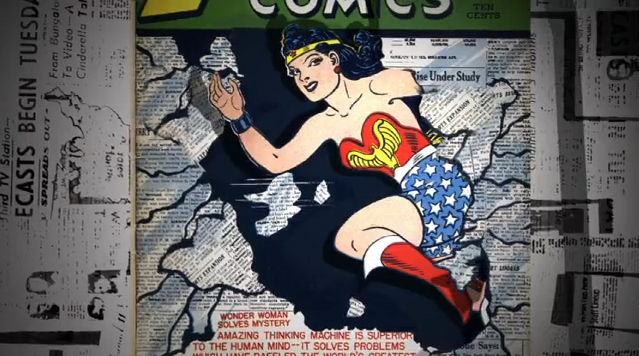 That’s why I was excited to stumbled across an article about a new film called Wonder Women! The Untold Story of American Superheroines. It premiered last month at the SXSW Film Festival, and has had several screenings since then. Unfortunately, I have not yet had the opportunity to see the film, but all the clips I’ve seen it look very good. For more, you can check out this brief interview with film makers Krist Guevara-Flanagan and Kelcey Edwards. Have you had a change to catch a screening of film? If so, let us know your thoughts by leaving a comment.